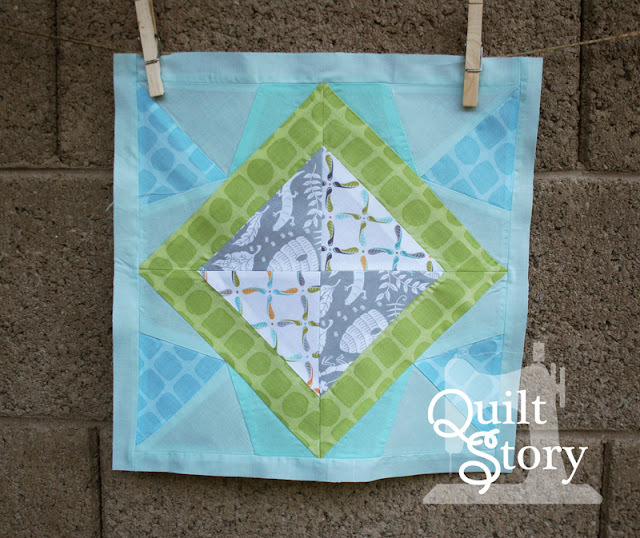 Heather and I are sharing blocks from our Block of the Month series. What do you think?? This month is not taken from the book we've been using for most blocks. Heather posted a Paper Piecing Tutorial on Friday, so check it out!! She has done a bit of paper-piecing in the past, this was a first for me! 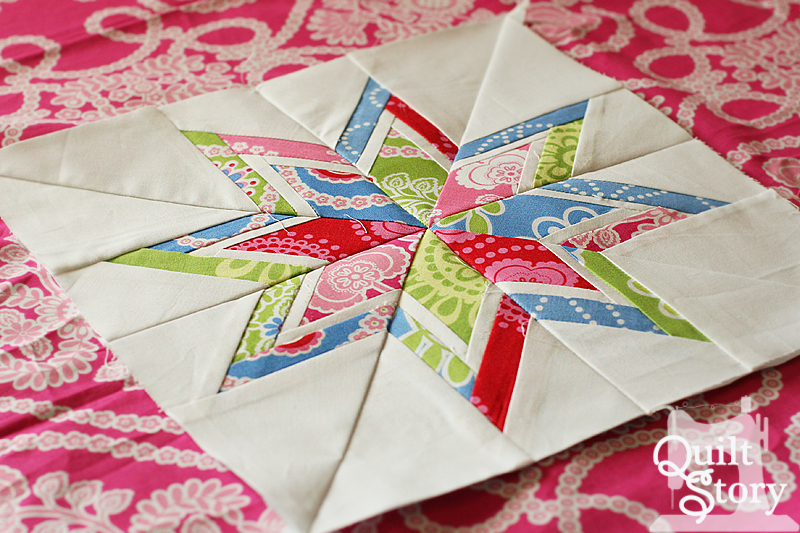 I love this star, I think I'm going to have to try this for a future project. All of her blocks so far, such yummy goodness! 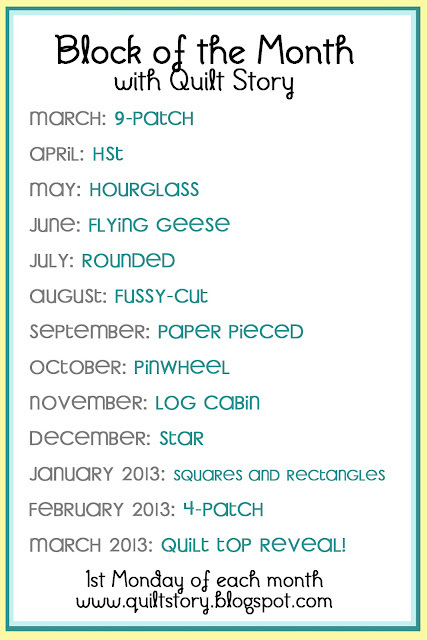 Since I have never paper-pieced and Heather hadn't done her tutorial yet I had to find another one! I used the pattern and instructions from Faith of Fresh Lemons Quilts and I have to say I'm addicted!! 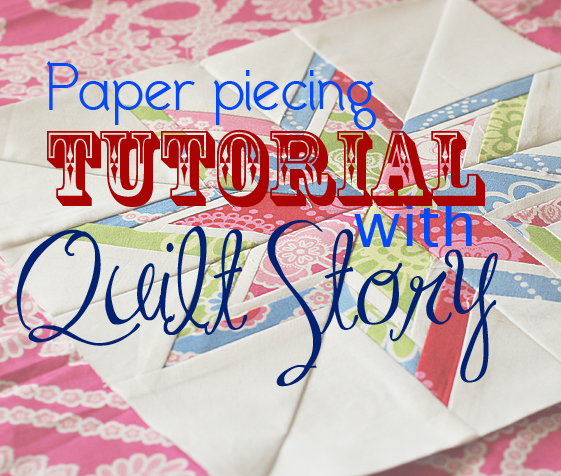 The next morning I lit up Pinterest with paper piecing patterns, lol :) Really fun, I only messed up once and had to unpick, so it isn't as scary as I thought! I'm glad I popped the green in there. I channeled Faith's use of solids/blues on the outside. I was a little off on my finished size so I had to add some solid blue around the outside, I'm not sure how I messed up. My blocks so far. From top to bottom, left to right is March through September. 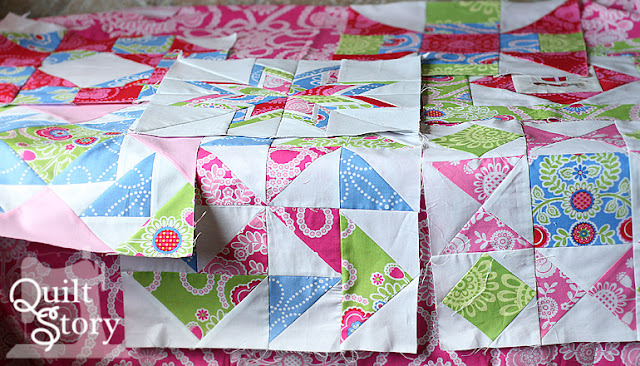 I can't wait to start playing with the layout and sashing ideas! 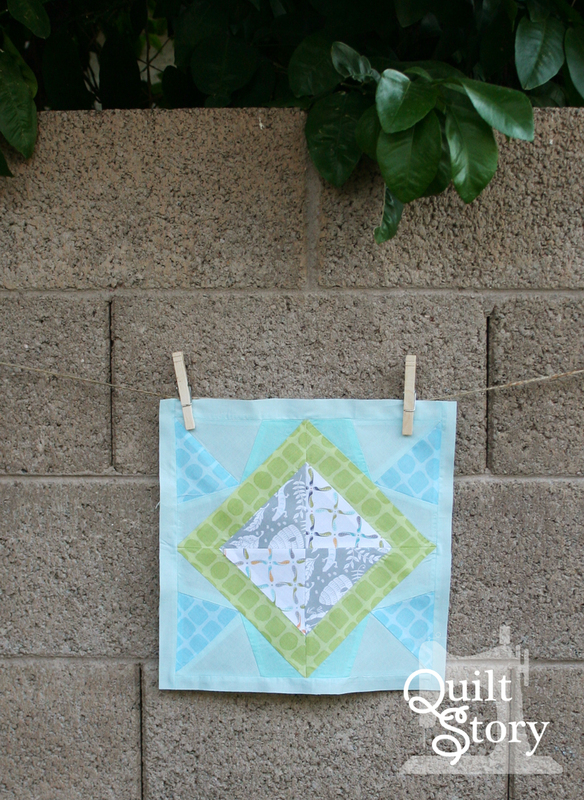 The block theme for October is paper pieced. As well as linking up your blocks today you can also add them to our flickr group. Time to link up your blocks! Go HERE to link and to see others blocks! love these blocks! I'm about to start a BOM or rather a BOW (week) the main pattern has a black background, but now I LOVE your color combinations with the white in the background. 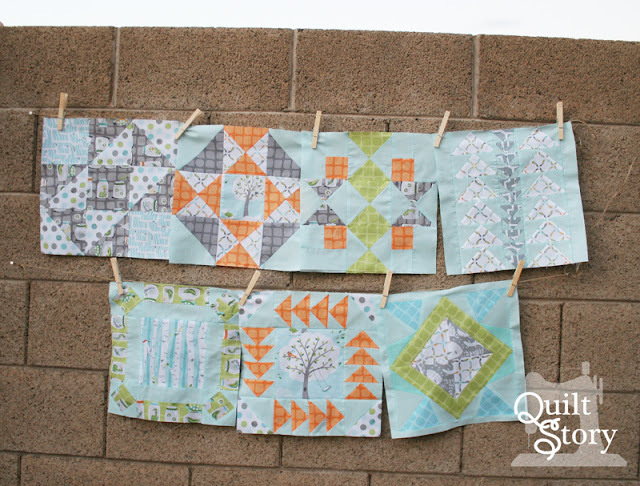 what fabric lines have you used for both? I love that star block! I love all the blocks. They are all very yummy. All the blocks look wonderful! It's interesting to see them in different colorways, too.